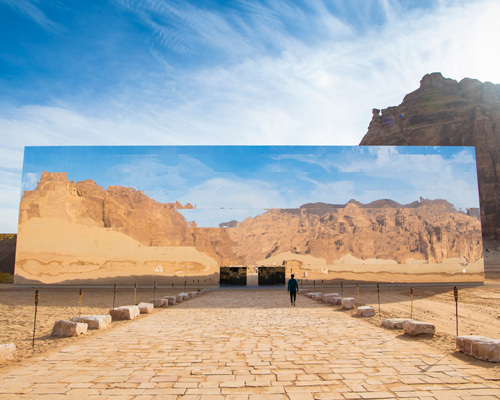 reflective panels refract abstract views of golden sands, majestic mountains, and archeological treasures. the device keeps track of body fat percentage, fat mass, body measurements and much more. 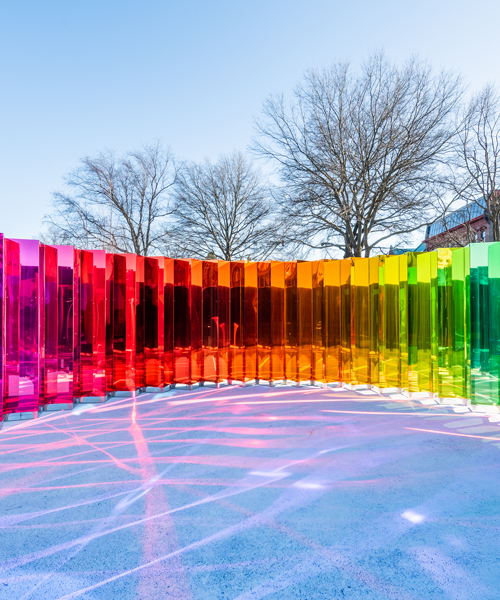 carefully positioned, each piece captures different aspects of the surroundings by following the wind flow and reflecting light, and creates stereophonic scenery. studio dafi reis-doron has designed a new 'evil eye' wall mounted mirror to offer a place for viewers to look within themselves. visitors traverse a terrain of river rocks and earth in order to reach the structure, beckoning them to enter the artwork. 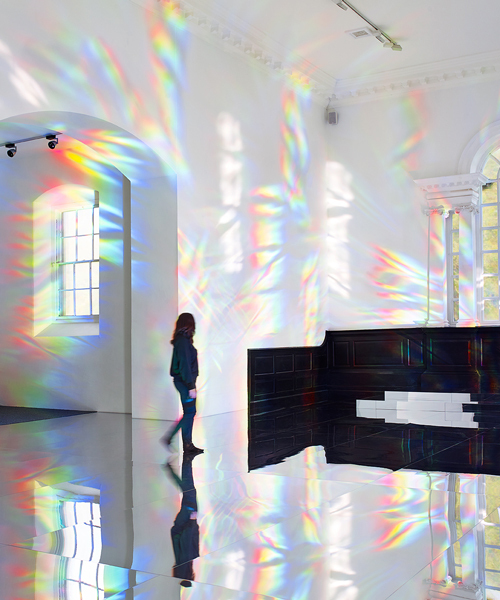 the central space is clad with curved mirrors, reflecting visitors' outer selves, while six soft zones display the inner self through visual artworks and performances. 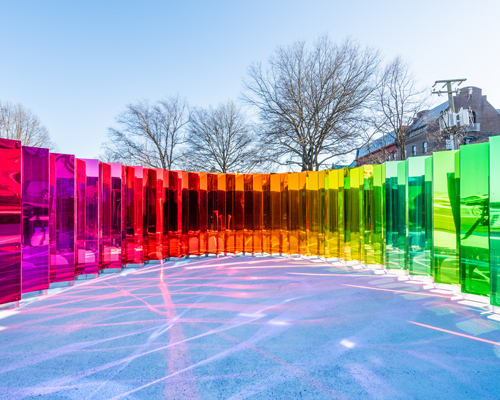 underneath paddington central’s westway bridge, british artist liz west positions mirrors to create a optically vibrant and kaleidoscopic installation. 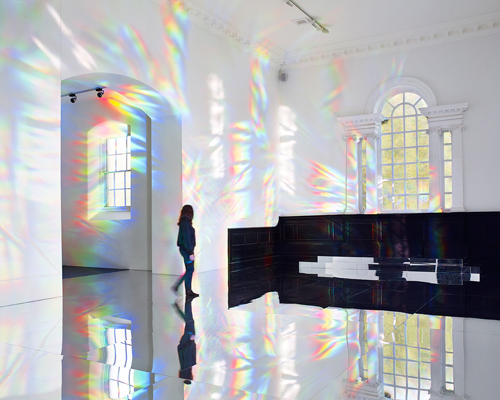 upon entering the compact facility, the visitor is surrounded by one-way mirrored glass. 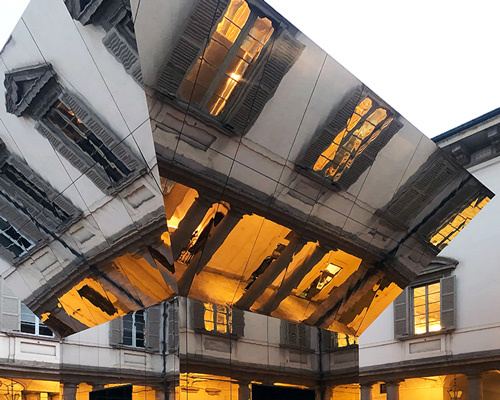 the analog installation comprises a 45-degree mirror, cut in an anamorphic way to appear as a perfect circle from the viewer’s point of view. these old televisions, arranged in a ziggurat, are modded with reflective mirrors. the series of mobile bars is designed to fade into their environment. the concave polygonal configuration provides the ideal projection space, where 'o peixe' a short film by brazilian artist jonathas de andrade is on view. meliota's project is a series of shovel shaped mirrors including three different forms, and is made of of metal with a matte black finish, bronze and brass. the project's nickname – the 'almost invisible school' – is a reference to its exterior cladding. elevated at varied heights, the mirrors create a matrix of color reflections throughout the space. featuring a mirrored-cube, ‘walking on water’ adds another layer to the ocean, creating an illusion of a human figure moving on top of it. the renovation replaces a prominently positioned window that had no view, with a mirrored surface that reflects the interior space. 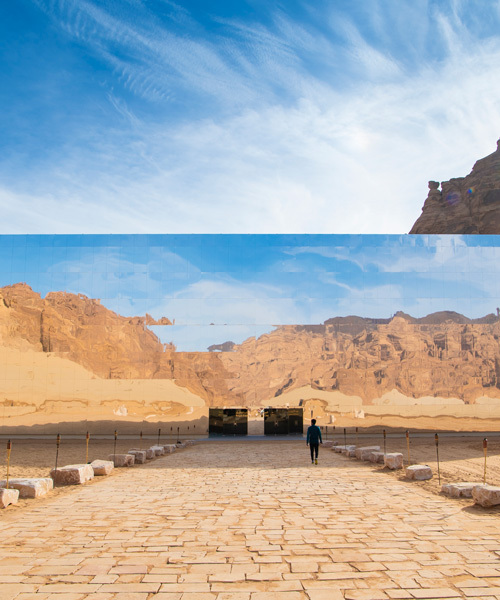 as the artist’s first permanent artwork in china, arnaud lapierre and UAP's 'ring - chain' sculpture mirrors visitors' reflections to infinity. 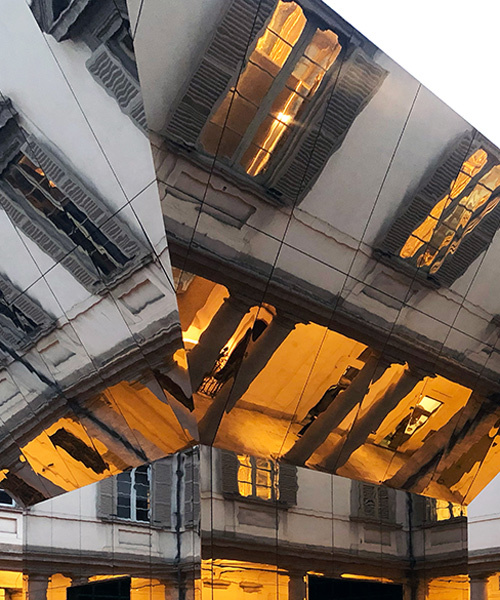 jordan griska’s ‘wreck’ is a life-size sculpture of a mercedes benz S550, disjointedly constructed from highly polished pieces of stainless steel. fredericks sees the land as a medium in itself, having the potential to convey the sentimental aspects of his connection to the place. designed with comfort as key, the pre-fabricated unit can be lived in or used to kick-start an accommodation business similar to airbnb.